Northern peatlands store approximately one third of global soil carbon, namely around 500 gigatons. Because the peatland carbon cycling is largely controlled by partly anaerobic soil conditions, the carbon stored in these soils is extremely vulnerable to climate warming that is expected to reduce soil moisture and therefore increase soil aeration. 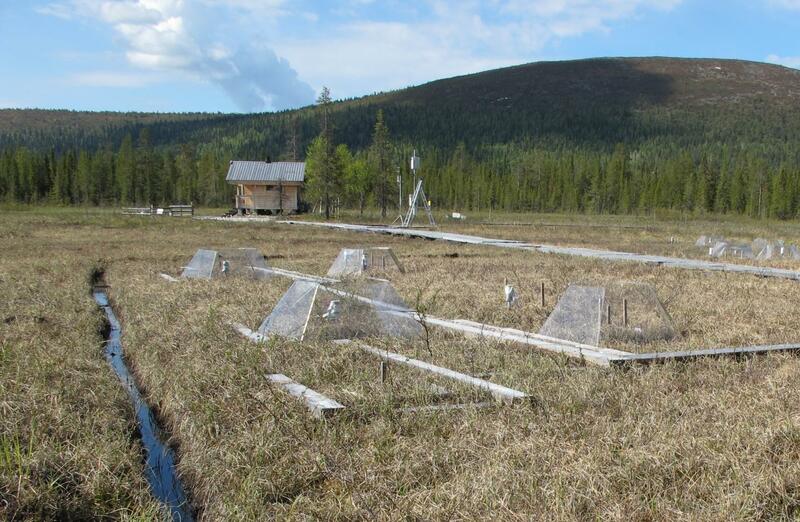 Understanding the interactions between warming and soil moisture is particularly important in peatland types found in boreal and arctic areas expected to experience high rates of climate warming. This region happens to be the core area for northern peatlands and therefore increased mineralization could have high potential to further accelerate climate change. A new study led by researchers from the University of Eastern Finland and Natural Resources Institute Finland suggests that peatland CO2 exchange is more strongly influenced by drying than warming as such, and that soil moisture may be critical to determining whether fen ecosystems are able to adapt to a changing climate. The study was recently published in Global Change Biology – a leading journal in environmental science. The research is based on a four-year field experiment in two Finnish fens subjected to warming and water level drawdown. The authors monitored photosynthesis, respiration, and net CO2 exchange during third and fourth experimental growing seasons. While warming had little effect on any gas flux component, dryer conditions were associated with increased photosynthesis and respiration, and warming intensified the impacts of drying so that in one site CO2 uptake decreased. Based on these results, in northern fens the water table has a decisive role in regulating how much the increased temperature impacts the CO2 exchange. The research was funded by the Academy of Finland (projects 138041, 287039, 140863).